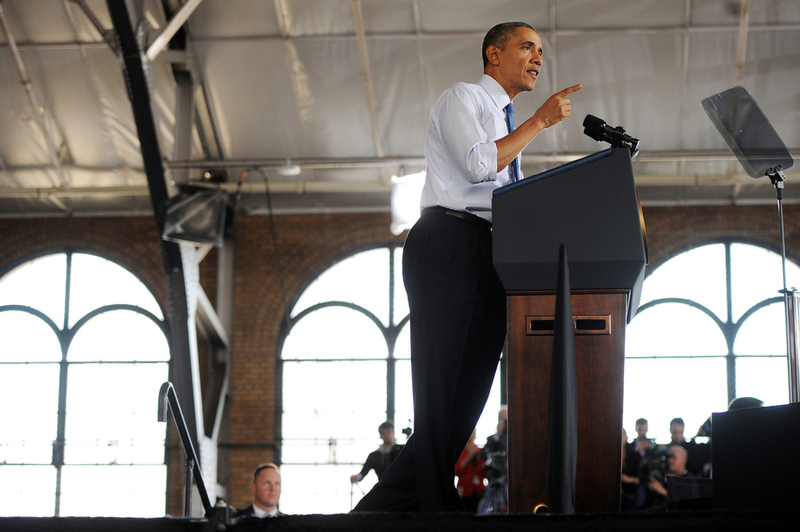 President Obama made a stop at the University of Michigan in Ann Arbor this week to discuss raising the minimum wage. Covering a presidential visit is a lot like covering a high-profile sporting event, tight timelines, credentialing and security. Oh, and snipers. I just returned from the NCAA basketball tournament in Indianapolis and was thrown right into the mix. 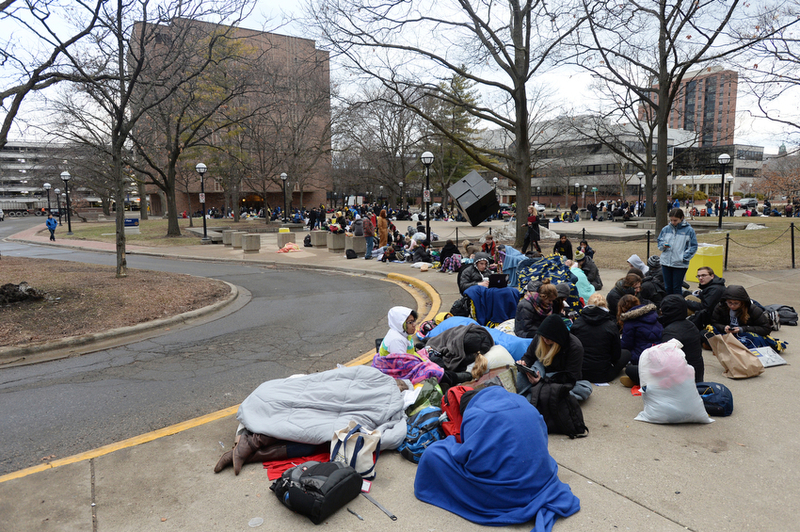 Michigan students lined up 1,000 deep, to secure a ticket to the event, many of them spending the night outside. Freshman Janie Brown was the first in line and first to receive a ticket to see President Obama speak. Can't let a little line get in your way of a complete breakfast! These same 1,000 students had to get into a second line outside of the Intramural Building on campus the next day for general admission seating. Here the president jogs to the stage. I was fortunate enought to get "buffer zone" access. This space is allocated for the traveling media and is in between the president and the audience. Sort of like the pit space at a concert. Michigan quarterback couldn't resist a selfie opp with University of Michigan President Mary Sue Coleman before the speech.